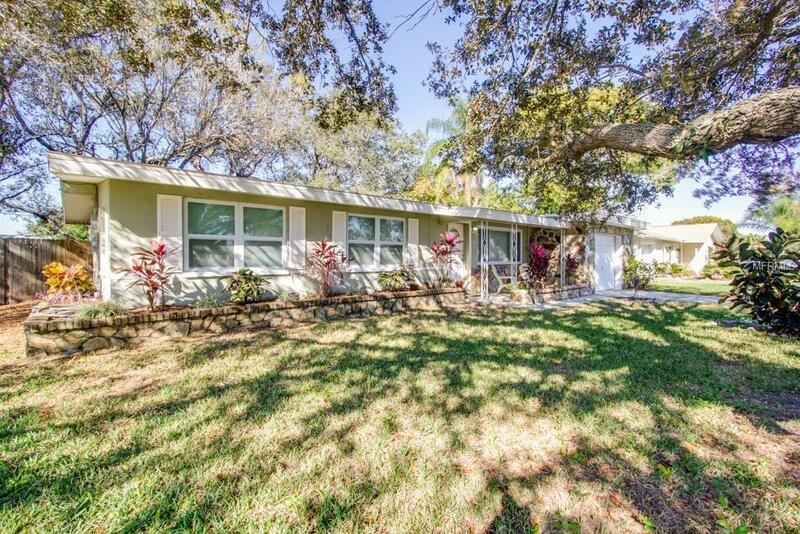 Welcome home to this gorgeous 3 bedroom, 1.5 bath home located in Clearwater, Florida. Situated in a quiet neighborhood near the historic Joe DiMaggio Sports Complex, new owners will enjoy easy access to nearby amenities on Drew Street, Gulf To Bay Blvd and US-19. This home features a large bonus room off the kitchen not included in the heated square footage, perfect for a home office, game room, or den. Enjoy the neighborhood on the cozy front porch or relax in the large backyard. Updates include a New Roof (2012), Remodeled Bathrooms (2014), New Septic Tank And Drain Field (2014), New AC (2015), New Dishwasher (2016), New Electrical Panel (2018), and New French Drain (2018).